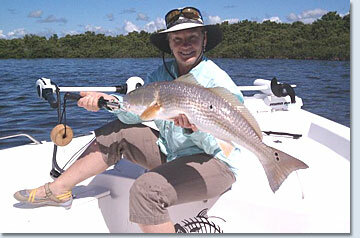 Fishing in Crystal River Florida is one of the best places to enjoy a beautiful day on the water with a fishing pole. We have many different species of fish that swim the waters of the Nature Coast such as Cobia, Spanish Mackerel, Black Drum, Snook, Tarpon, Sea Trout, Red fish, Mango snapper, and many others. 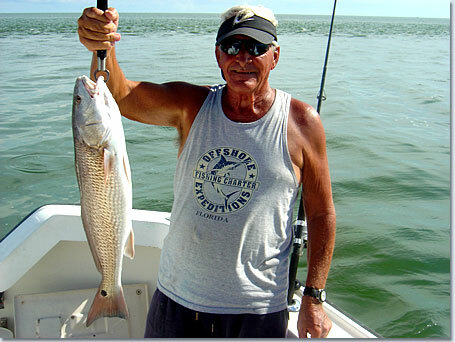 Trout, Red fish, and Mangrove snapper are the most popular catch. We use only the finest fishing equipment made by Penn; we provide you will everything you will need for the trip from the equipment to the fishing license. All of our fishing charters are fully furnished with the best equipment and bait you will find. After each trip we clean the fish for you and take care of cleaning the equipment as well. Our captains are all licensed seasoned fishermen who have dedicated their lives to being on the water. We offer half day and full day fishing charters. Our boats are limited to 6 people per boat. A half day of fishing will cost $325.00 (up to 4) any additional person would be $50.00. A full day of fishing will cost $475.00 (up to 4) each additional person is $75.00 and this covers everything you will need and use on the boat. Our fishing charters go out no more than 9 miles on our 30 ft. sportsman’s boat and for the close in shore and flats fishing we have a 21 foot flats boat to catch some of the best fish around. We catch what is in season on the day you plan your trip, Redfish and Trout can be caught year round March through December are the prime months. Cobia are generally caught in the spring and early summer. All you need to bring is some sun screen and if you prefer anything other than water you can bring a small cooler for drinks and sandwiches (Polarized sunglasses are always nice to have) we supply everything else you will need to make this a great day on the water enjoying the beautiful wildlife and weather Crystal River Florida has to offer. Our boats are all equipped with U.S. Coast Guard certified equipment, VHS, DSC, Epirp Type 1 life vest with lights and whistles on each jacket so that everyone will be safe. Our Gulf waters when the wind is not blowing are very calm, no waves like the Atlantic side. To book a Family Adventure Fishing Charter, call us direct at 352 445-5489.